With this magical sand that never dries up, you can bring beach day fun to your home. 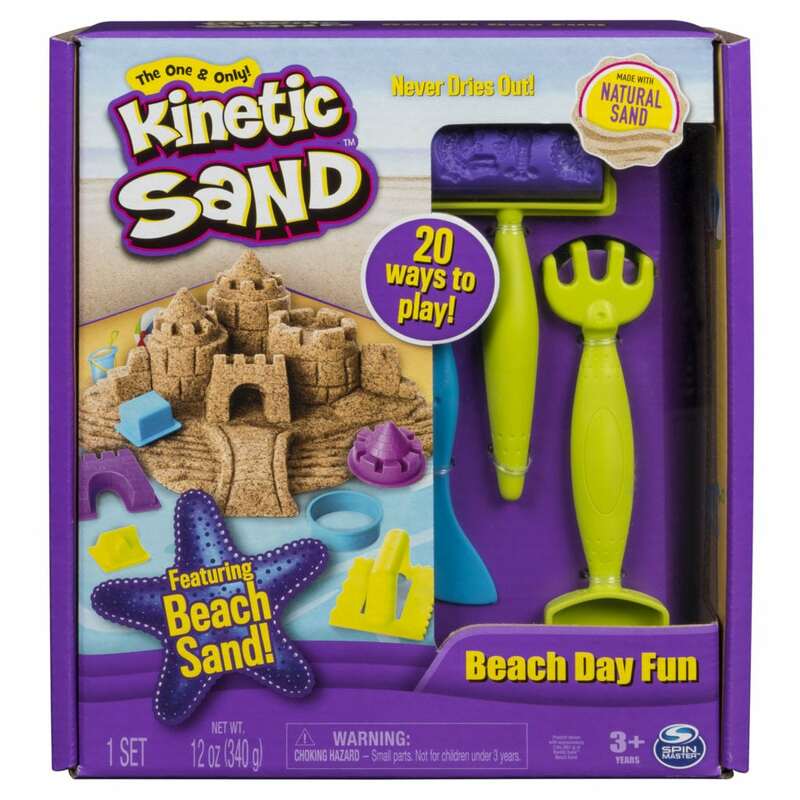 Kinetic Sand comes with a sandbox, shovels, rakes and all new Kinetic Beach Sand. 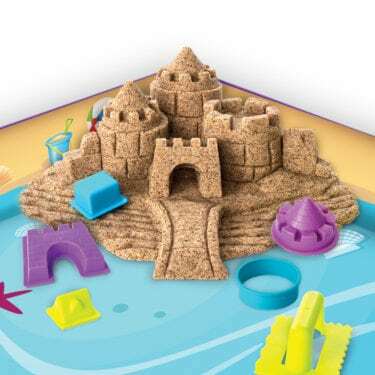 Different from the smooth feel of classic Kinetic Sand, Kinetic Beach Sand is made with larger grains of natural sand and feels like wet sand at the beach. Mold it, shape it and use your imagination to make all new creations over and over again. Jam-packed with possibilities, there are over 20 ways to play with this set. The sandbox doubles as both play space and storage, making creating and clean up easy. Magical, mesmerizing, soothing and relaxing. Start creating a sandcastle kingdom of your own.